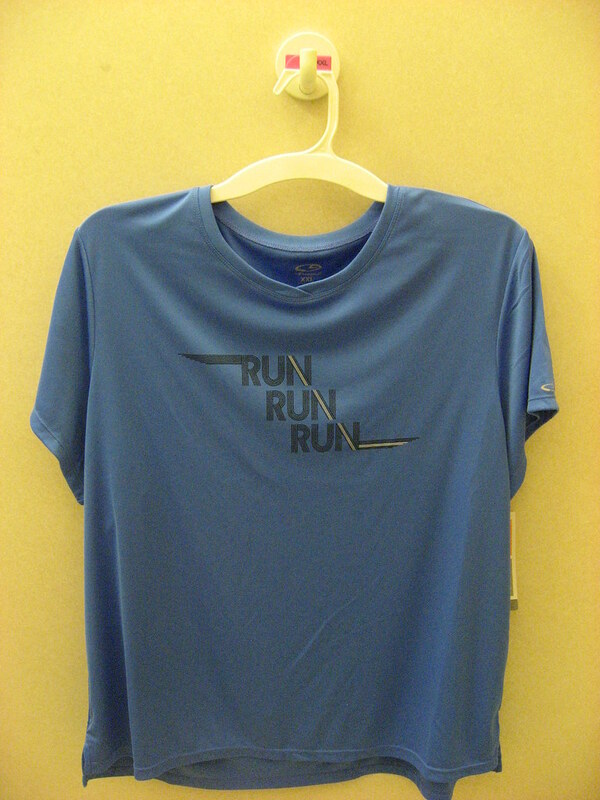 The Green Girl got a new moisture wicking shirt to wear for the Surf City USA Half Marathon on Sunday. When I workout, I usually just wear cheap, white cotton t-shirts. I wear those same shirts when I do 5k's. When I trained for my very first marathon with Team In Training, I wore the Team In Training singlet every time I ran. Our group did a half marathon as one of our training runs so I wore my singlet for that, too. For the marathon, we got the signature purple Team In Training shirts. When I did the Nike+ Human Race, I got a shirt that was way too tight for me. After I completed the San Diego Rock 'n' Roll Marathon with Team In Training, I joined the Beach Runners. I wore a plain white t-shirt to my first Beach Runners session but when I signed up, they gave me a Beach Runners shirt so I went to the bathroom to change into that shirt. From that point on, I always wore my Beach Runners shirt. When I did the Long Beach Half Marathon back in October, I wore my Beach Runners shirt. I did get a technical shirt from the Long Beach Half Marathon but the material is transparent and I don't feel comfortable wearing it without a shirt underneath. My running group just changed its name to the Sole Runners and we haven't received new shirts yet. I didn't realize I didn't really have a technical shirt to wear until this week. All this time I assumed I had "running" shirts because I was wearing the shirt associated with the group I was running with. After hitting a number of stores today, I finally managed to find a shirt at Target. I couldn't believe my luck when they only had two sizes left and one of them was an XXL and it was big enough for me! Good Luck Surf City Runners!